赵文金, 朱敏. 中国志留纪鱼化石及含鱼地层对比研究综述. 地学前缘（中国地质大学（北京）；北京大学），2014，21(2): 185-202. Yu, X.-B., Zhu, M. & Zhao, W.-J. The origin and diversification of osteichthyans and sarcopterygians: rare Chinese fossil findings advance research on key issues of evolution. Bulletin of the Chinese Academy of Sciences, 2010, 24(2): 71-75. 赵文金, 王士涛, 王俊卿, 朱敏. 新疆柯坪-巴楚地区志留纪含鱼化石地层序列与加里东运动. 地层学杂志, 2009, 33(3): 225-240. 朱敏, 赵文金.肉鳍鱼类的早期辐射与跨古大洋分布. 见: 戎嘉余主编，生物的起源、辐射与多样性演变—华夏化石记录的启示. 北京: 科学出版社, 2006: 399-416 (中文), 885-887（英文）. 赵文金. 中国古生代中期盔甲鱼类及其古地理意义. 古地理学报, 2005, 7(3): 305-320. 盖志琨, 朱敏, 赵文金. 浙江长兴志留纪真盔甲鱼类新材料及真盔甲鱼目系统发育关系的讨论. 古脊椎动物学报, 2005, 43(1): 61-75. 赵文金, 朱敏.云南的早期脊椎动物化石研究. 地球科学进展, 2003, 18(6): 864-869. 赵文金, 万晓樵. 藏南定日地区Cenomanian/Turonian界线附近的生物古海洋事件. 地质科学, 2003, 38(2): 155-164. 赵文金, 万晓樵. 藏南定日地区白垩纪中期地球化学异常对海平面上升的响应. 地球科学进展, 2002, 17(3): 331-338. 赵文金, 万晓樵. 西藏南部岗巴地区晚白垩世Cenomanian-Turonian集群灭绝事件后有孔虫动物群的复苏. 古生物学报, 2001, 40(2): 189-194. 赵文金. 西藏岗巴晚白垩世有孔虫动物群与海平面变化. 高校地质学报, 2001, 7(1): 106-117. Wan, X.-Q., Jansa, L. F., Sarti, M. & Zhao, W.-J. New results of the stratigraphic study in the Nyalam area of southern Tibet. GeoResearch Forum, 2000, 6(2000): 263-268. 万晓樵, 赵文金, 李国彪. 对西藏岗巴上白垩统的新认识. 现代地质, 2000, 14(3): 281-285. 李祥辉, 王成善, 胡修棉, 万晓樵, 徐钰林, 赵文金. 朋曲组——西藏南部最高海相层位一个新的地层单元. 地层学杂志, 2000, 24(3): 243-248. 赵文金, 万晓樵. 西藏聂拉木地区中、下侏罗统化石碳酸盐微相研究及沉积环境分析. 现代地质, 1998, 12(3): 327-335. 赵文金, 万晓樵. 西藏特提斯演化晚期生物古海洋事件. 北京: 地质出版社, 2003: 1-116. Zhao, W.-J., Jia, G.-D. & Zhu, M. New evidence for the Silurian/Devonian boundary in the Changwantang Section, Guangxi Province, South China. In: A. Lindskog & K. Mehlqvist (eds. ), Proceedings of the 3rd IGCP591 Annual Meeting - Lund, Sweden, 9-19 June 2013. Lund University, 2013: 356-357. Zhao, W.-J. & Zhu, M. The Silurian fishes, biostratigraphy and biogeography in Kalpin and Bachu regions, the Tarim Basin, Xinjing, China. Ichthyolith Issues, 2011, Special Publication 12: 55-56. Zhu, M., Zhao, W.-J. & Jia, L.-T. Placoderm jaw bones from the Xiaoxiang fauna (Ludlow, Silurian) and the dentition of early gnathostomes. Journal of Vertebrate Paleontology, 2010, 30(Supplement): 192A-193A. Zhao, W.-J., Herten, U., Wang, N.-Z., Mann, U., Zhu, M. & Lücke, A. The Silurian-Devonian Boundary in West Qinling of South China – Evidence from Chemostratigraphy and microvertebrate remains across the Silurian-Devonian transition. Rendiconti della Società Paleontologica Italiana, 2009, 3(3): 355-356. Zhu, M. & Zhao, W.-J. The Xiaoxiang Fauna (Ludlow, Silurian) – a window to explore the early diversification of jawed vertebrates. Rendiconti della Società Paleontologica Italiana, 2009, 3(3): 357-358. Zhu, M. & Zhao, W.-J. Early diversification of sarcopterygians: emerging views from comparative anatomy and fossil record. Ichthyolith Issues, 2007, Special Publication 10: 69-70. Zhao, W.-J. & Zhu, M. Diversification and faunal shift of Siluro-Devonian vertebrates of China. Ichthyolith Issues, 2007, Special Publication 10: 94-95. Wang, N.-Z., Zhang, X., Zhu, M. & Zhao, W.-J. New complete hybodontoid material from the Late Permian of the Mazong Mountain of Gansu Province, northwestern China. Ichthyolith Issues, 2007, Special Publication 10: 93-94. Zhao, W.-J., Herten, U. & Mann, U. Chemostratigraphy (Carbon isotope stratigraphy) across the Silurian/Devonian transition –New advances in the study of the Silurian-Devonian Boundary in South China. In: Yang, Q., Wang, Y.-D. & Weldon, E.A. (eds. ), Ancient life and modern approaches (abstracts of the Second International Palaeontological Congress). Hefei: University of Science and Technology of China Press, 2006: 342-343. Zhu, M. & Zhao, W.-J. Origin and early diversification of sarcopterygians: new fossil evidence from China. In: Yang, Q., Wang, Y.-D. & Weldon, E.A. (eds. ), Ancient life and modern approaches (abstracts of the Second International Palaeontological Congress). Hefei: University of Science and Technology of China Press, 2006: 343-344. Zhao, W.-J. & Zhu, M. The Middle Paleozoic galeaspids in China and its significance on the Paleogeography. Ichthyolith Issues, 2005, Special Publication 9: 51-52. Zhao, W.-J. & Zhu, M. The faunal composition of Devonian vertebrates from East Yunnan in China and related eustatic changes. Ichthyolith Issues, 2005, Special Publication 8: 26. Zhao, W.-J. & Zhu, M. Devonian Vertebrate Biogeography of South China: a review of faunal composition and distribution. In: Richter, M. & Smith, M.M. (eds. ), 10th internaltional symposium on Early Vertebrate/Lower Vertebrates (Programme and Abstracts Volume). 2004: 36-37. Zhu, M. & Zhao, W.-J. New Sarcopterygian materials from the Upper Devonian of Ningxia, northwetern China. In: Richter, M. & Smith, M.M. (eds. ), 10th internaltional symposium on Early Vertebrate/Lower Vertebrates (Programme and Abstracts Volume). 2004: 37. Zhao, W.-J. 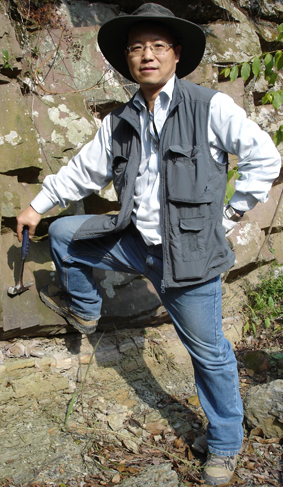 & Zhu, M. Vertebrate biogeography of the Middle Palaeozoic in China. Ichthyolith Issues, 2003, Special Publication 7: 56-57. Zhao, W.-J. & Zhu, M. 2002. Vertebrate biogeography and tectonic evolution of the Mid-Palaeozoic in China. In: Brock, G. A. & Talent, J. A. (eds. ), Geological Society of Australia, Abstracts Number 68. First International Palaeontological Congress (IPC2002). 2002: 178-179. Zhu, M., Zhao, W.-J. & Jia, L.-T. A new Tetrapodomorph fish from the Upper Devonian of China. In: Brock, G. A. & Talent, J. A. (eds. ), Geological Society of Australia, Abstracts Number 68. First International Palaeontological Congress (IPC2002). 2002: 180. Wan, X.-Q., Sarti, M., Jansa, L. F. & Zhao, W.-J. Biostratigraphy and sedimentary development of the Jurassic of southern Tibet. Geologic Bulletin, University of Peshawar, 1998, 31: 214-215. 赵文金. 北疆野外地质考察散记. 大自然, 2012, 2012(5): 52-55. 王俊卿, 盖志琨, 赵文金. 滇东,古生代鱼类研究的发祥地-纪念中国第一篇古生代鱼类文章发表一百周年. 化石, 2012, 2012(1): 10-18. 赵文金. 追寻志留纪古鱼之旅. 大自然, 2010, 2010(5): 66-70. 赵文金. 梦幻鬼鱼: 最古老的硬骨鱼. Newton-科学世界, 2009, 2009(6): 63-67. 赵文金. 古生代早期脊椎动物条目. 见: 《地球科学大辞典》编委会主编, 地球科学大辞典-基础学科卷. 北京: 科学出版社, 2006: 563-567. 赵文金. 中国早期脊椎动物研究与主要进展. 化石, 2005, 2005(2): 2-6. 赵文金. 中国国际地质对比计划全国委员会2004年年会在京举行. 古脊椎动物学报, 2005, 43(1): 84. 赵文金. 走进泥盆纪世界. Newton-科学世界, 2003, 2003(6): 6-9. 万晓樵, 徐钰林, 魏明建, 赵文金, 魏明瑞. 西藏白垩纪生物古海洋事件. 见: 柴育成, 陆则慰 (主编), 国家自然科学基金资助项目研究成果年报（2002）- 地球科学. 北京: 高等教育出版社, 2003: 41-42.